MODEL INFORMATION : You know what they say about redheads, and that's basically confirmed when you meet Jasper. He's a fiery, passionate, creative and dramatic young man who loves to have a good time. 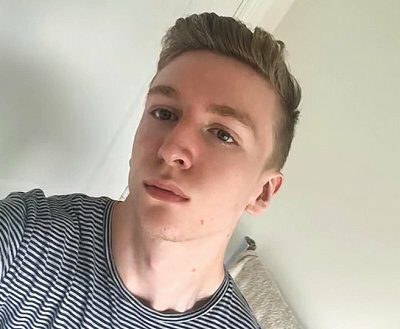 This British boy can usually be found partying with his friends in Manchester, or enjoying a night in with a bottle of wine and a good action movie.